Power BI Helper is a tool that helps clean up a Power BI solution. Power BI Helper is developed by RADACAD / Reza Rad an Author, Trainer, Speaker and DW/BI Consultant. Reza Rad published the e-book Power BI from Rookie to Rockstar. 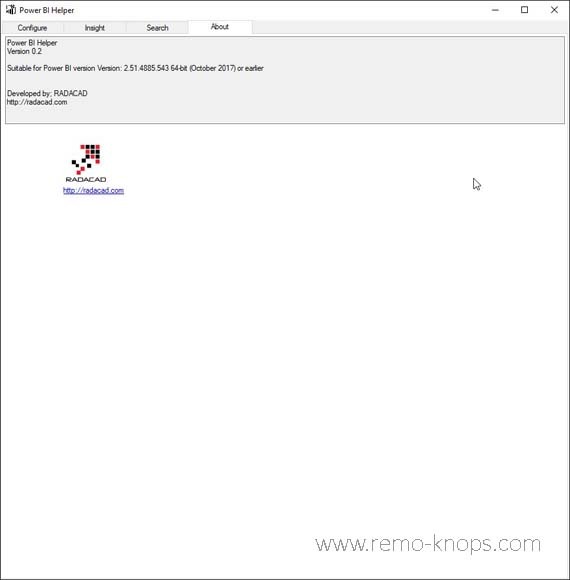 In this article I will provide a brief overview of this Power BI Cleanup Tool. It makes more sense to have your data structured upfront, and just queried the variables needed for your report or visualization. However I can also imagine that you sometimes need to quickly test something in a more agile way, where you don’t have the time to prepare the data. The Power BI Helper tool can help you then (afterwards) with the clean-up of the data model of your Power BI solution. It simply shows you which tables and fields are used for the visuals and reports, so you can clean the other tables and fields. Your data model will be come cleaner, simpler while the Power BI file will also become smaller in terms of file size. In the configure tab you simply select a Power BI solution file. The insight tab gives your the insights which fields and tables are used in the solution. 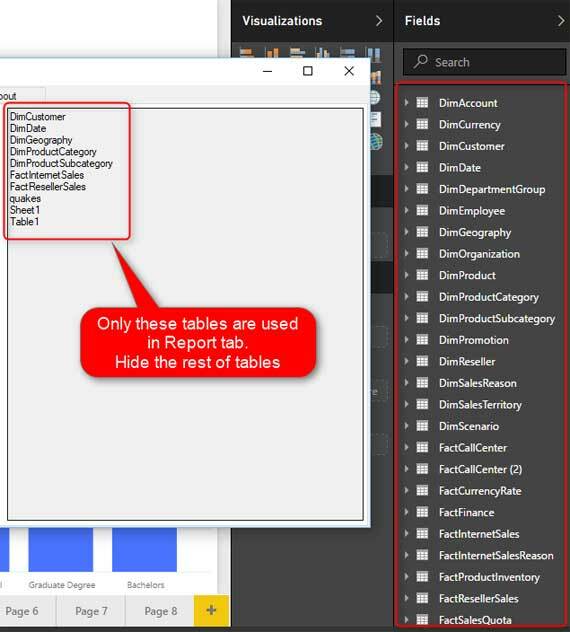 The search tab gives a user the possibility to search for a field or table in the Power BI solution file. This search feature is new in Power BI Helper v0.2. In the configure tab you simply click on the Select Power BI File button to load your Power BI solution into Power BI Helper. The insight tab gives your the insights which fields and tables are used in the solution. With the insights of Power BI Helper you can quickly update the Power BI solution and cleanup of the data model using Power BI Desktop. You simply need to hide the tables or fields. If you want to search for a specific field or table that is used in any visualizations of your Power BI solution, jump into the Search tab of Power BI Helper. I’ve tested this Power BI Cleanup Tool with a couple of simply Power BI solutions and so far it works like it is intended/designed. Keeping your data model as clean as possible helps in many ways. Download your copy of Power BI Helper from the RADACAD website and provide feedback to Reza and his team. It is a free clean-up tool for Power BI that every data professional should know. Other Power BI tools I use are Power BI Publisher for Microsoft Excel and Devscope Power BI Tiles for Microsoft Excel, PowerPoint and SharePoint.